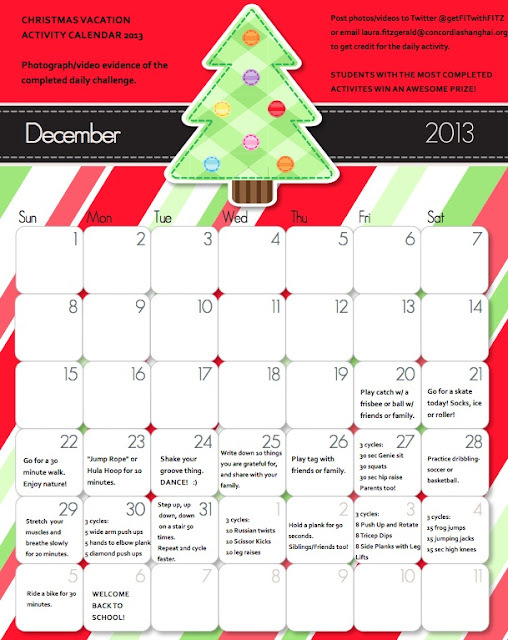 STAY ACTIVE OVER CHRISTMAS BREAK!
. Students with the most completed challenges will win FANTASTIC prizes! One hint: The prize is electronic!